Paraben free, safe for all skin types. Contains Apple Extract and Aloe Vera for nourshing, protecting and moisturising skin. Contains SPF20 with UVA/UVB filters for broad spectrum sun protection. Additional Information : Founded in 2004, Colorbar is among the leading brands of color cosmetics in India and is extremely popular among the urban women. The brand sources its inspiration from the millennium woman who believes in expressing her various moods and desires through a variety of colors she adorns. Colorbar promises to provide its customers the trendy makeup which is innovative, classy and world class, covering a wide range of colors with a belief of redefining the chic and sensual woman of today. Explore the entire range of BB & CC Cream available on Nykaa. 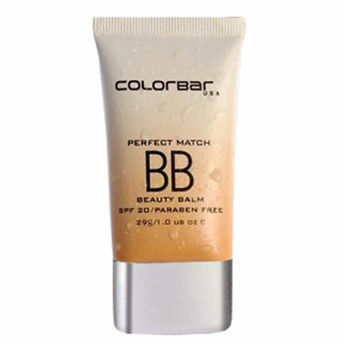 Shop more Colorbar products here.You can browse through the complete world of Colorbar BB & CC Cream .Alternatively, you can also find many more products from the Colorbar Perfect Match BB Cream range.